Happy Tuesday, everyone! I love making gifts for people- especially if its easy and inexpensive! For this batch of bath salts, I made them lavender. All you need is…. 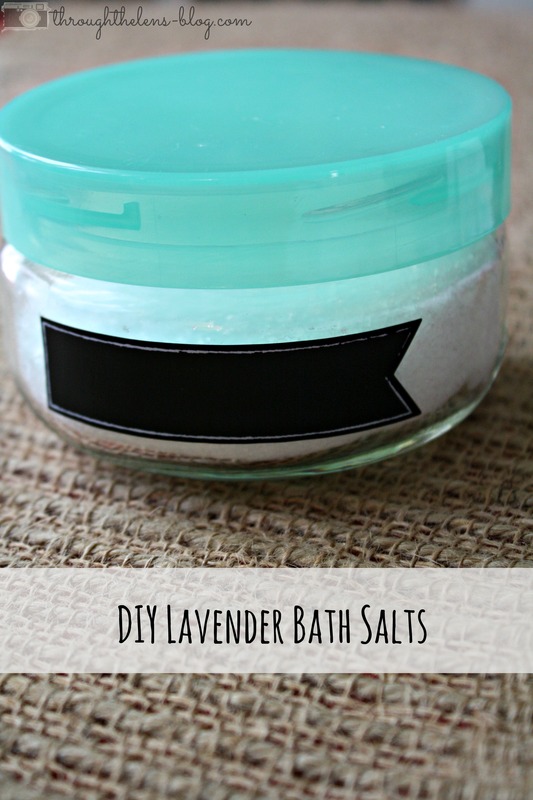 Just fill the jar with Epsom salts, add your oil, and ta-da! You’re finished! 🙂 Easy, peasy. Just think of all the people you could give these to! The possibilities are endless. This may or may not be what I give for Valentine’s gifts this year. 😉 But don’t tell anyone! I love love love bath salts! I have always been waiting to try this DIY! How cool! I just picked up some of those exact little jars from Target a couple of weeks ago! Now I know exactly what to put in them for Mason’s teacher for V-day! Thank you for sharing! I now need to get a bath! 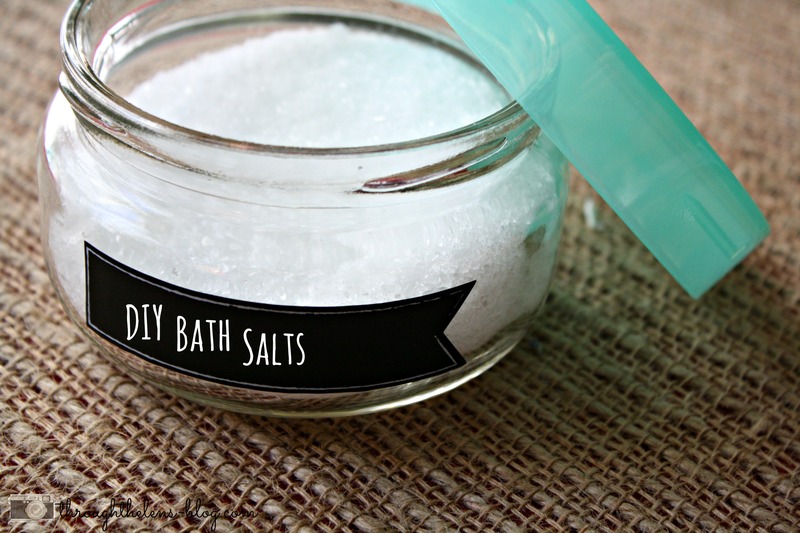 I miss my bath soak time with bath salts! So relaxing!